If you are one of those who prefer the sea to the mountains, Galicia is your place. Located in north western Spain, the coast of Galicia is the largest one in Spain with almost 1500 km of coastline. The area of the Rías Bajas stands out for the beauty of its landscapes and because it has more than 55 beaches with the blue flag distinction. 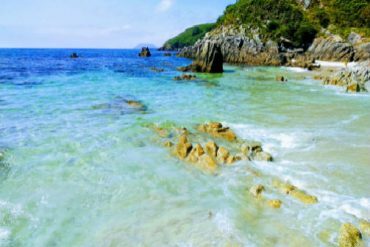 Below you’ll find a 4 days plan to enjoy the best beaches of Galicia in an unforgettable custom trip with the whole family. 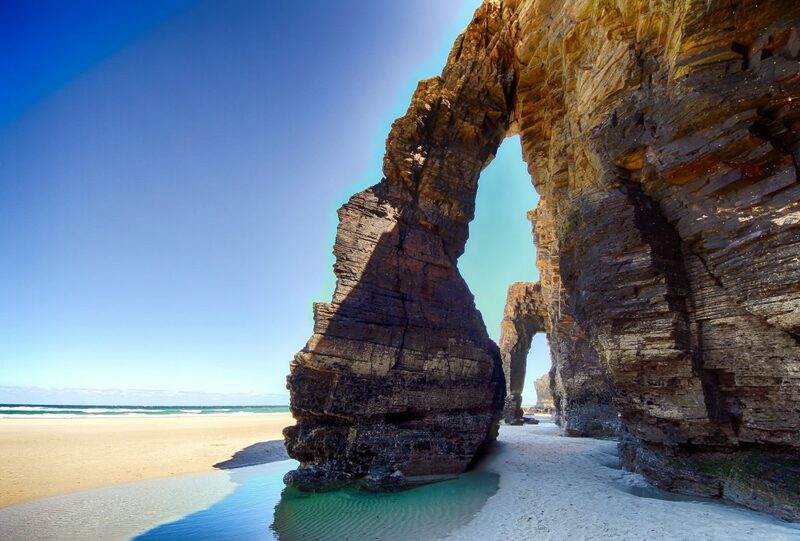 Our first stop will be “Las Catedrales” beach, one of the most spectacular in the country. It has awesome rock formations that attract thousands of tourists every year. (Therefore, now it is necessary to book in advance to visit them). 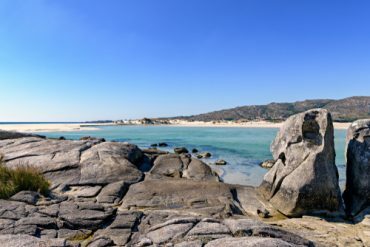 If you want to visit the best beaches of Galicia, this one is a must. If you are looking for a quiet environment and gentle tides you can’t miss Xilloi. 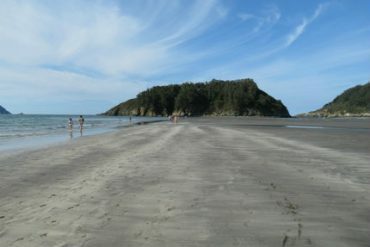 The rural environment that surrounds the sandy area is located in a quite reserved place on the coast. It has had the blue flag for years. Naturalness is what perfectly describes this sandy area. With more than 2km of straight line beach, Morouzos is an oasis of tranquility. Its white sands and the breaking of the waves will make you spend hours there. We recommend to overnight in La Coruña, not the capital of the province but the largest city and second most populated in Galicia. 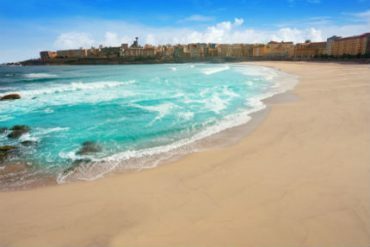 It has its own beach (Riazor) and a historic center of great beauty. The Costa de la Muerte (coast of the death) is land of cliffs. Mar do Fora is a must see. This beach of half a kilometer long is perfect for walking and breathing the saline air. However, it is oriented to the open sea and it’s very dangerous for swimming. 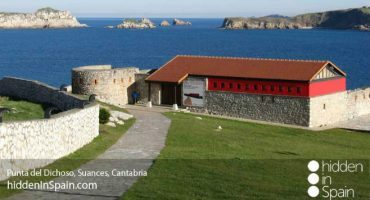 15 min far from here, by car, you can visit the famous Faro de Finisterre, a must in your holidays in the north of Spain. 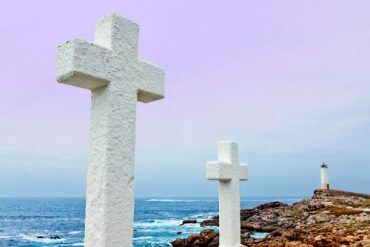 Finisterre was believed to be the end of the world until Columbus discovered America. If you go there you’ll find out why!! Our next stop will be the beach of Carnota. 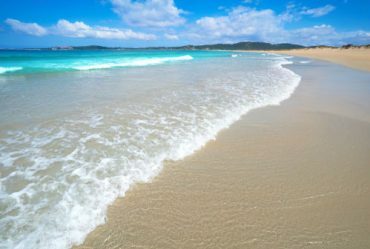 With more than 7 kilometers in length it is one of the largest beaches in Galicia and in the whole Spain. Its dunes and marshes are home to a unique flora and fauna. 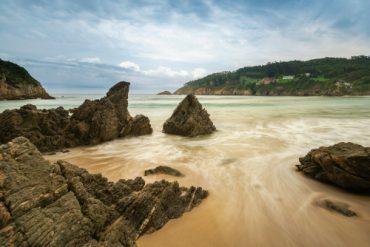 This is one of the best beaches in Galicia for photography due to its amazing landscapes. We recommend to overnight in Santiago de Compostela. 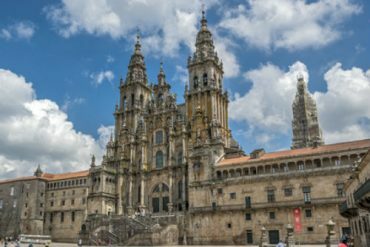 It is one of the best cities to visit in northern Spain for its historic cathedral and its unique gastronomy. Beside it is the finish point of the popular Camino de Santiago or Way of Saint James. We will start with a very peculiar beach: La Lanzada. The peculiarity is that it is an isthmus that connects the O Grove peninsula to the mainland. It is the typical white sand beach ideal for sunbathing and enjoying in the water. We recommend to overnight in Sanxenxo as it is a popular holiday destination with children and very lively. But before we must visit the beach of Canelas that is very close. Small and intimate, this Galician beach is the best one to relax. To start our last day we will visit the beach of Melide. 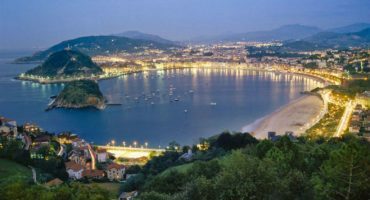 It has fine white sands and intense blue water that attracts many tourists who visit northern Spain. Being difficult to access is not too busy. We will finish with the best one, from our point of view. 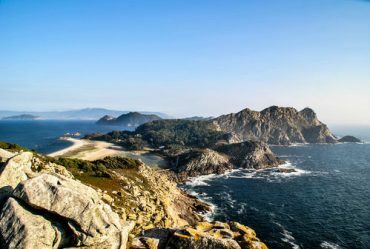 You will have to take a ferry from Cangas (4km) to enjoy the beauty and natural environment of the Cies Islands. People say it is the best beach in Galicia and one of the most beautiful in Europe. There you can find the beach of Rhodes, a true paradise oasis. We organize tailor-made experiences through Spain for you.